Lately, we have been receiving a lot of calls from organizations new to grant funding but very anxious to get started…and of course, for the first check to arrive at their doorstep. The most important thing to know is that grant funding is not a quick fix, so if your organization is in need of immediate funding, it may be time to talk to some individual donors, board members or look at some fundraisers that can be implemented quickly. I always tell everyone that grant funding typically takes 6-9 months once the first proposal is submitted. Sometimes, an organization may have the good fortune to receive funding quicker than this, but that is really the exception and not the norm. 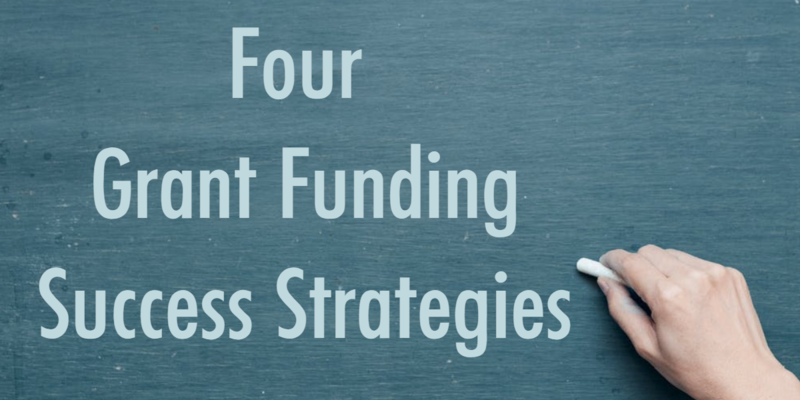 Whether your organization has a lot of grants under its belt or just starting on this venture, the following strategies will help your organization reap financial success. Begin locally. While many foundations indicate they are willing to fund on a national level, you are more likely to be successful if you target foundations in your local region. Once you have success locally, then you can expand your efforts to include a broader geographic area. Local funding sources have a vested interest in supporting organizations that serve in their local community. Revisit your mission. It is tempting to “tweak” or “adjust” your mission or purpose to qualify for a certain funding opportunity. However, it is always best to stay true to your mission. It is certainly acceptable to revisit your mission statement to ensure it is still accurate and relevant, but this should be a conscious process and not one necessitated because you are “chasing” after grant dollars. What need are you meeting? It is easy to focus on the needs of the organization. Without funding, the organization faces hardships and may have to lay-off people or reduce services. This is not what funders want to hear; instead focus on the needs that you are meeting in the community. Then, you are able to discuss what will happen in the community without your services. Use relevant data to support the needs that your organization will be addressing. Follow directions. It may see obvious, but far too many organizations fail to follow all directions. Yes, this includes noting the due date and time, following font and page guidelines as well as using the forms provided by the funding source. Your proposal may be evaluated on how well you follow (or not) the directions. By following directions, your proposal will stand out for all the right reasons. Are you totally baffled by grants but recognize that you really do need more funding for the work of the organization? Grants are not the full solution, but they can certainly help! Get the training you need to be successful in 2019. Our Grant Writing Intensive is available now for just a few more days. Learn more! Previous: Previous post: Saying Thanks!